Oh hey! It has been a busy summer…obviously since I haven’t updated since May! I have been trekking along through my reading list which has now become an end of the year list rather than just summer! I have also started student teaching this semester and am having a baby in March! Needless to say, it has been nuts at my house but that is not what I want to talk about today; I want to talk about what is breaking my heart these days. According to the Oxford Dictionary, the definition of Refugee: a person who has been forced to leave their country in order to escape war, persecution, or natural disaster. 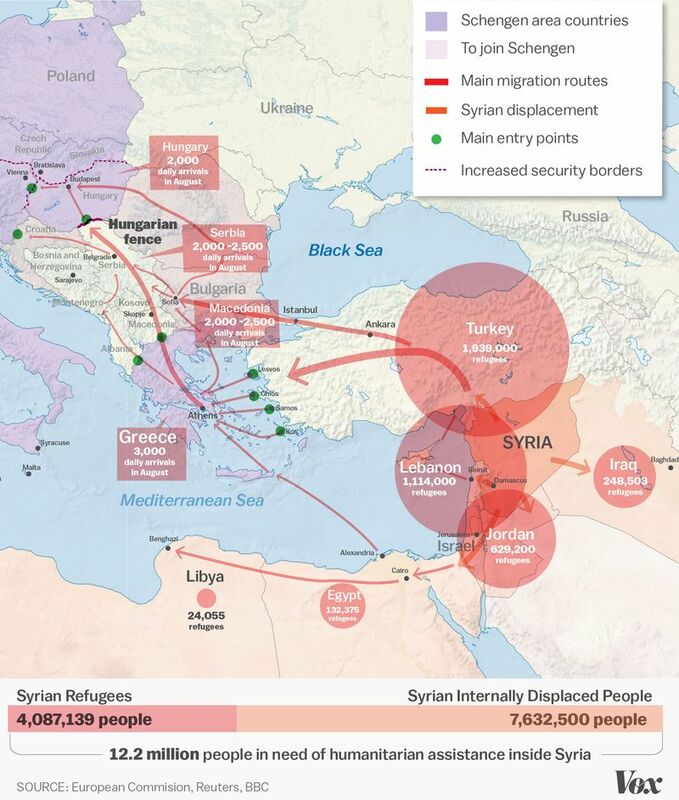 The refugee crisis. If you don’t follow the news or live under a rock, due to terrorism, civil war, and some are coming along for a better life, there are currently 12-19 million (different reports) refugees fleeing into the European Union. Just for perspective – in 2014, there were only 10 million people living in the state of Georgia. Also for perspective, I will replace the word with the definition throughout this post. Call it pregnancy hormones or my bleeding heart, every single one of his posts bring me to tears. WARNING: Some may find images and topics distressing.